Providing quality pet care in a safe, friendly environment. We offer pet boarding, grooming, and doggie daycare in Forsyth County, NC. Going away? Our luxury boarding suites are climate-controlled and come with a number of perks for your cat or dog. Choose a pet package or customize your services to make your pet’s stay perfect. Whether it’s your dog’s regular grooming schedule or just a special occasion, our professional groomers are here to help your pet look their best. Walk-in bathing services are available! Reduce anxiety and give your dog a safe, fun place to exercise during the day. Our doggie daycare facilities are the perfect place for your dog to play, whether you’re at work or out running errands. 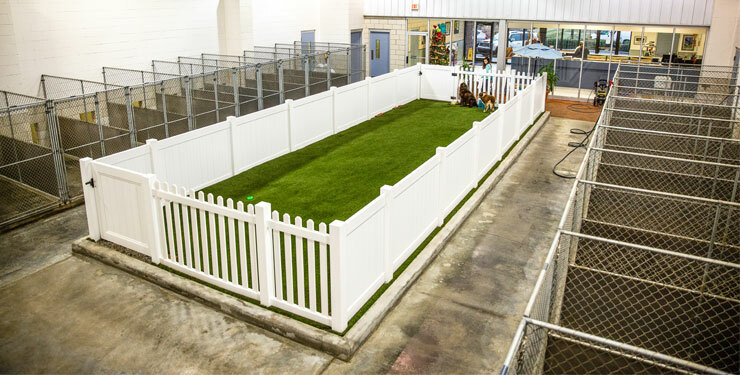 Our luxury boarding facilities are safe, clean, and comfortable for your dog or cat. We offer spacious runs and private suites for dogs of any size. Whether they have four legs or two, our clients love Carolina Pet Place! 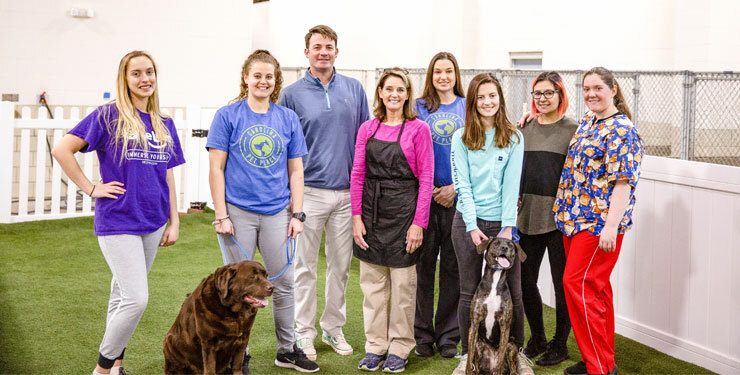 We’re a family-owned business offering luxury cat and dog boarding, grooming, and daycare services in Clemmons, NC. Book your pet’s stay today—we can’t wait to meet your pet!